The Olympic games have special meaning to Lake Placid, as hosts for the 1932 and 1980 Winter Olympic Games. With Olympic training camps, Olympic facilities, and Olympic events happening at the sites of those Winter Games, Lake Placid has proven that it will always be an Olympic town. Bringing the family to see one of the many Lake Placid Olympic sites is a wonderful opportunity. The chance to for children to actually try an Olympic sport is rare. 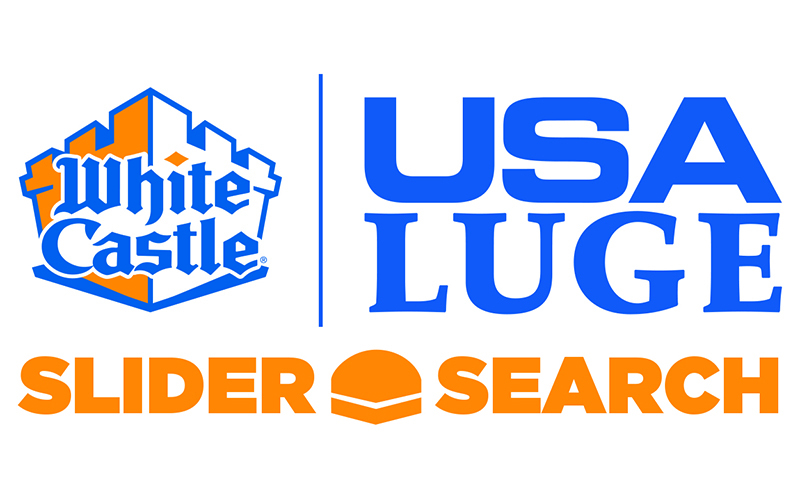 The White Castle USA Luge Team "the fastest sport on ice." 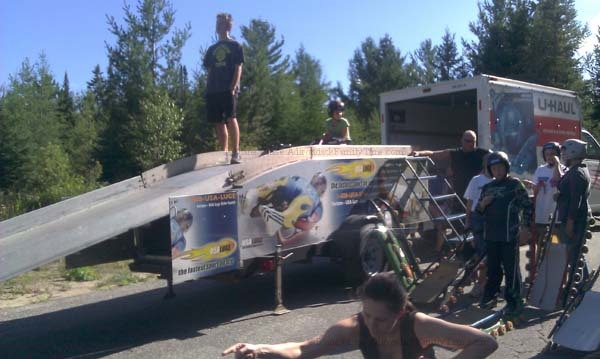 has been going around the country offering free “Learn to Luge” clinics all summer. 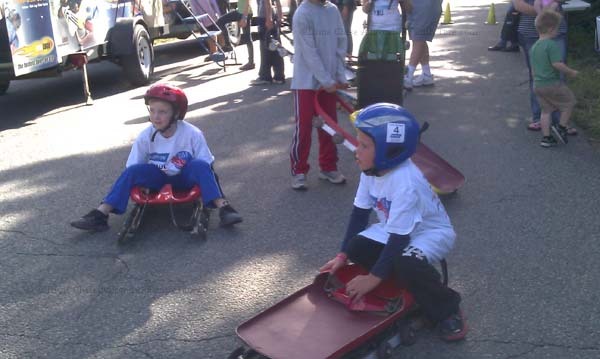 Each USA Luge Slider Search takes place in two hours segments where children (9-13) can receive a lesson on a wheeled luge. All new participants receive a free tee shirt. 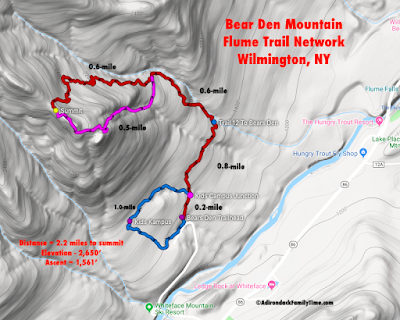 Beginners should bring a long sleeve shirt and sweatpants, no baggy clothes. There are a variety of coaches and team members strategically placed along the 300’ section of paved road. The course has a slight downward slope that ends with an incline. The incline naturally slows down the luge sled mimicking a real luge track. The luge track and sled reminds me of a mini amusement park ride. The difference is that the person steering and controlling the sled is in charge of her/his own speed and direction. 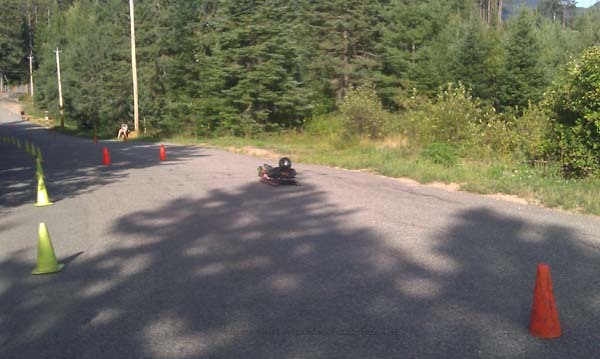 My son takes a few practice runs and is soon going downhill, steering through the cones. He still feels that biathlon is his sport. We watch a bit longer while 15-20 other kids of various ages start from the mobile starting ramp and swoop down the paved road. It was fun just to watch. 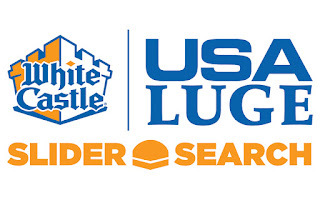 The White Castle USA Luge Slider Search takes place at the Recycling Circle Ln (the transfer station entrance) in Lake Placid. 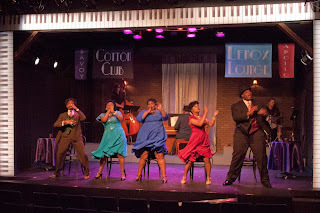 All photos are © Diane Chase. Diane Chase is the author of the Adirondack Family Activities™ guidebook series, Adirondack Family Time™. available online or bookstores/museums/sporting good stores.